With our proven search engine optimizations strategies, you'll be able to direct more of the massive amount of traffic created by search engines like Google, MSN and Yahoo to your website. Our search engine optimization techniques employ the most current trends in the industry, and focus on link building, on page optimization, and organic search targeting for your particular niche or market. There's no better way to improve the attention your business website gets than through search engine optimization. Building traffic through search engine optimization requires skill and careful consideration. The search engine web crawlers are finely tuned, and they know how to distinguish between irrelevant sites using search engine optimization merely to boost their ranking, and quality sites using it effectively as a marketing tool. At Seo Marketing World, we understand the intricacies of search engine marketing, and keep up with all of the news about what the crawlers want and don't want to see from a web page. Understanding what the engines look for is key to placing highly in their rankings. Before any effective search engine optimization can take place, Seo Marketing World will take careful stock of your website. We'll analyze the particular niche you're directing your search engine marketing to, including using keyword research to determine what kind of topics and words your audience is searching for. 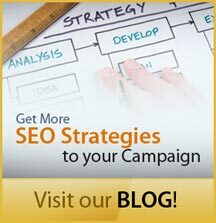 We'll also determine how the competition fares with your target traffic. All of this information will be used to come up with a strategic search engine optimization plan that is customized for your site, so that you can glean the maximum amount of traffic from searches performed by your target market. Our search engine optimization techniques are built around understanding what people looking for information or services related to your business search for. Our SEO plans involve a great deal of keyword variations, including research into alternate phrases and synonyms. We'll then analyze how these different variations affect the results of searches. Ultimately, this will help devise an overall plan for the structure of your search engine optimization, and allow you to present your potential customers with exactly what they are looking for. Our competitive analysis procedures center around making your search engine marketing plan as effective as it can be by first dominating keywords that are receiving less competition from other sites. Understanding the strengths and weaknesses of your competitors is very important in knowing where to focus the strength of your search engine optimization. By building a solid foundation for search engine marketing to less competitive keywords at first, we set the stage for competition with the bigger ones, and in the end, that top spot in the search results rankings. 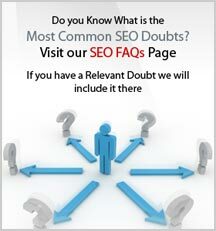 Using the determinations of our keyword research, we'll begin to optimize the content of your site. Focusing on tying specific keywords to specific pages, our search engine optimization will overhaul your site to become more attractive to the crawlers from all major search engines, especially Google, which dominates the market. Ultimately we'll make sure that all content on your site is designed and authored with search engine optimization in mind, while making it easily digestible for both the search engines and your viewers. Once the structure and content of your site are established, the next step in your search engine marketing overhaul will be to undertake a plan for link building. Link Building is the most important part of Google's Page Rank determination, and so therefore the crawlers are especially careful to check for any unethical or manipulative link building designed solely for search engine marketing. Seo Marketing World understands how to populate links that will serve to not only boost your PageRank, but will also be relevant and informative to your viewers. In short, we know how to please both the search engines and your users with quality links that will fit seamlessly into your search engine optimization plan. 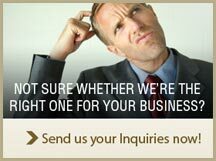 We'll also work with you to better understand your goals as a business outside of your search engine marketing plans. We'll discuss issues of branding and marketing with you, and try to better understand your company identity and long-term vision. This will allow us to combine your marketing goals with your search engine marketing goals, so that our services will better fit in with the overall sensibility of your company image. Often times, this is the most effective and innovative part of the search engine optimization process, since it opens new avenues and ideas for how to market your business! At Seo Marketing World, we specialize in providing thorough search engine marketing research and analysis to customize a well-informed search engine marketing plan that will be as effective as it can possibly be. Since our SEO services are modified to each customer SEO services, our pricing and rates are subject to much variation, depending on the services rendered. For more information on pricing and fees, please contact us further.